Firestone Quickprime Plus is designed to clean and prime the EPDM membrane prior to application of Quickseam products. Quickprime Plus must be applied with a Quickscrubber Pad and Handle. 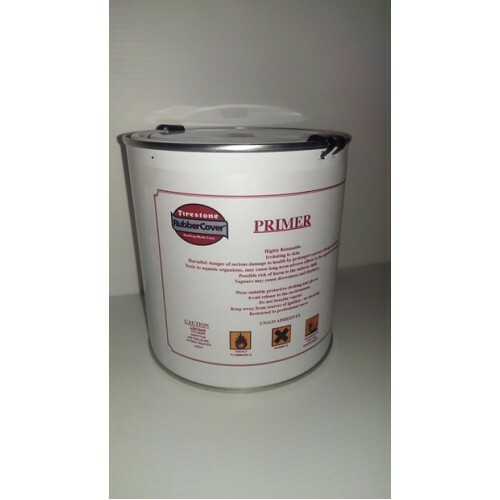 Surfaces to be primed must be clean, dry and free of foreign materials, talc and dirt. Stir Quickprime Plus thoroughly before and during use. When exposed to lower temperatures for a prolonged period of time, restore to room temperature prior to use. Pour the required amount of Quickprime Plus into a bucket for ease of application. Flammable, keep away from sources of ignition. Do not smoke when using. For professional use only. Use only in well ventilated areas. Avoid contact with skin and eyes. Keep out of reach of children. Store in original containers at temperatures between 15 - 25 degrees. Keep the material out of direct sunlight until ready for application. Shelf life - 12 months, when stored in above mentioned conditions, shelf life will be reduced if exposed to higher temperatures.